Chris is a veteran and a retired police officer. 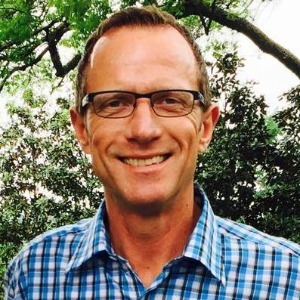 Chris is a Certified Running Coach by the Road Runners Club of America and a Certified Swim Coach by the American Swimming Coaches Association. Chris has also received his certification as a Level I Triathlon Coach by USA Triathlon and his Level II Cycling Coach certification by USA Cycling. He is also a Certified Personal Trainer by The Cooper Institute (Dallas). Chris also adds the certification of Bike Skills Instructor to his resume! Chris Gescheidle began his athletic endeavors while serving in the United States Air Force. Having experienced the trials and tribulations of being a fat kid, Chris decided to abandon his old unhealthy lifestyle and change his life. It ended-up saving his life, he suspects. Today Athletic Volition LLC serves individuals seeking a highly-qualified, respected and certified coach to help them achieve their athletic goals. Additionally, Athletic Volition conducts classes, clinics and camps for those seeking a group experience. Athletic Volition serves all of Texas and surrounding states. Chris specializes in helping runners with proper mechanics, creating better mobility, posture and racing times! Cyclists benefit from Chris' knowledge of Functional Movement, too, as he believes this is key to gaining strength. References are gladly provided upon request! Success. Coach Chris Gescheidle has been notified of your message.